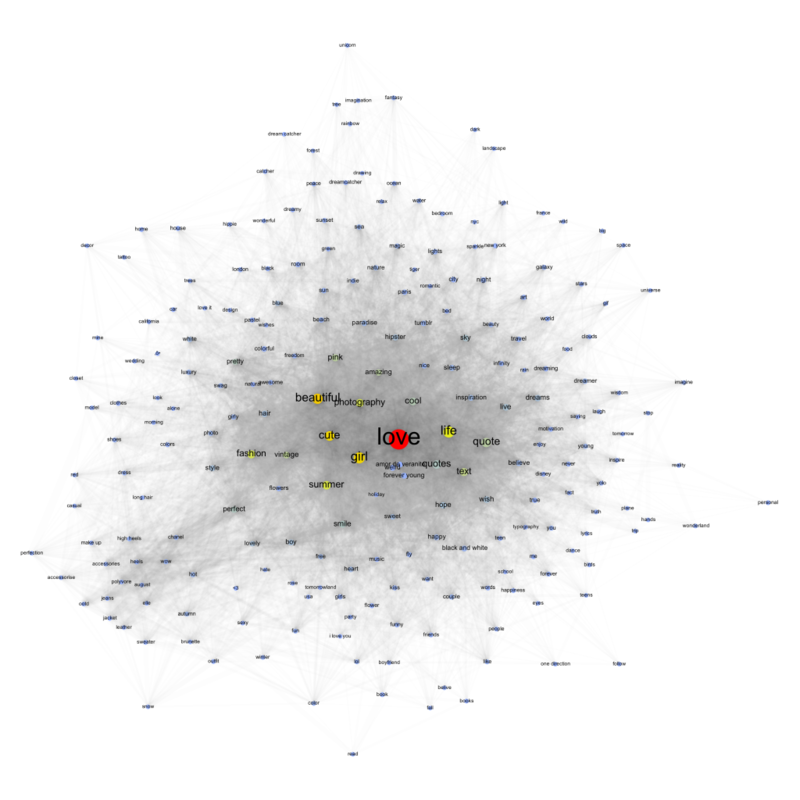 Node size is occurrence count and color (blue => yellow => red) is betweenness centrality. Apparently, love is still a thing out there. Nice. This may become an actual tool further down the road, but maybe it’s already useful to somebody as is. Post filed under folksonomy, social networks, softwareproject, tumblr, visualization. Please map what people above 30 + dream of !!! This is not only for fun, I think. You could use it with brand names and see what they stand for, right? You could also compare brands and see which tags are above average or below.